I have a question for people with more experience in LCD separation. 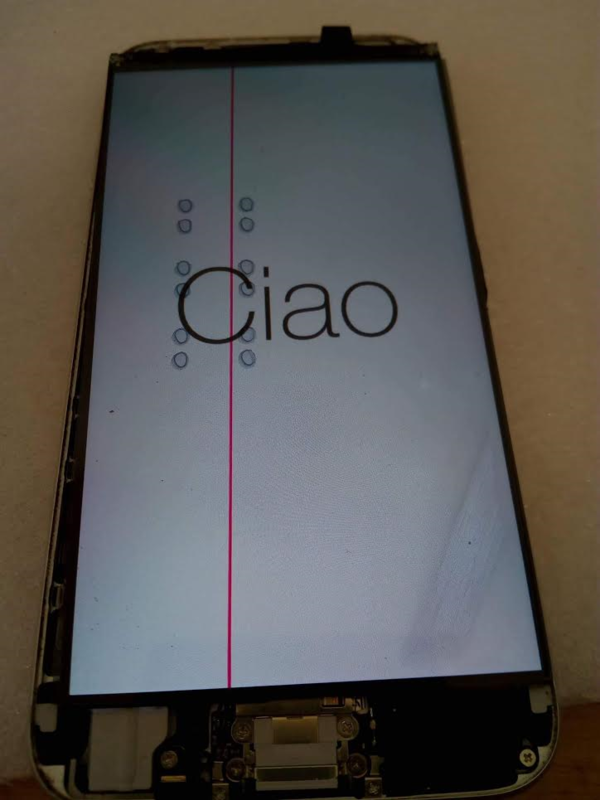 Look at the picture in the second link below - there are several marks on a display of an iPhone 6 I have not encountered before, red line and dark spot. There were none of those marks before glass separation so I am wondering if this could happen because of an unprofessional separation or is it possible that it just somehow was not visible before (with glass on a display)? According to the technician words, the dark spot on the bottom right side marks a place when the display is a bit bent - which was not visible with the glass glued on top of the display. Vertical red line looks like it is on the polariser film you have fitted (they have protective films you remove), along with the black/grey circles. The dark smear in the bottom right is probably where liquid has leaked into the backlight (when you were cleaning the glue), but it is difficult to tell from picture. So it means that the technician made possibly something wrong? I was not separating the display, this picture is the only one he sent me. Yes. Tell him to remove the protective film from both sides of the polariser. Smudge is probably backlight panel, when he cleaned the glue it has leaked inside. Thank you. Your explanation with leaked glue sounds more credible than his argument with a bent digitizer. Or is it possible that digitizer could bend after a drop? I believe it would break, not bend.